Taking care of your Yorkie is really important thing to make sure that the pet lives a long and health life. There are different parts of dog’s health, which people need to take care of, because each body part tends to develop a new sort of disease or health problem, if not paid complete attention. Amongst these body parts, teeth are the major ones. If a Yorkshire terrier’s teeth are not cleaned and maintained for healthiness, then they can develop bacterial problems and transform it into plaque very soon. Yorkie teeth care is really very important because it helps to save your pet from various types of uninvited health issues. Teeth of Yorkies are very sensitive and they are prone to numerous types of health ailments, troubling the pet and its caretaker to the core. Also, by watching the teeth health of your pet and avoid the gum diseases to take place and let your pet live healthily. 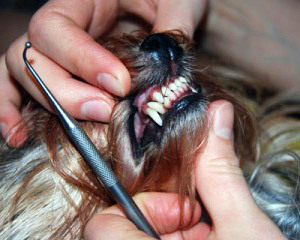 The major point, which needs to be taken care of since beginning, is the strengthening of your pet’s teeth. If the teeth are not taken care of completely, there can be some really complicated health issues including kidney related ailments and side effects in terms of serious heart diseases as well. 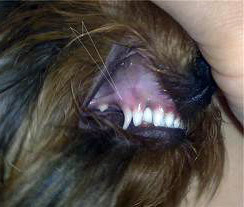 There are common teeth related problems, which Yorkie faces in the early age. Some of them include falling of baby teeth early or emerging of new adult teeth before they drop their baby teeth. These types of situations can create complications and make the things even tougher to handle. To avoid all these problems, make sure you put the Yorkie teeth under complete care since beginning and apart from regular care, offer them with timed check-ups under the supervision of veterinarians. If the problems are handled in the beginning stage, then the chances of your dog witnessing tough health issues are comparatively less. But, if you miss paying attention towards the teeth care of your cute Yorkie, then the situation might get worse in future. To deal with complicated teeth problems of Yorkshire terriers, you might need to undertake your pet for a teeth surgery, which is really expensive and tough situation to handle. 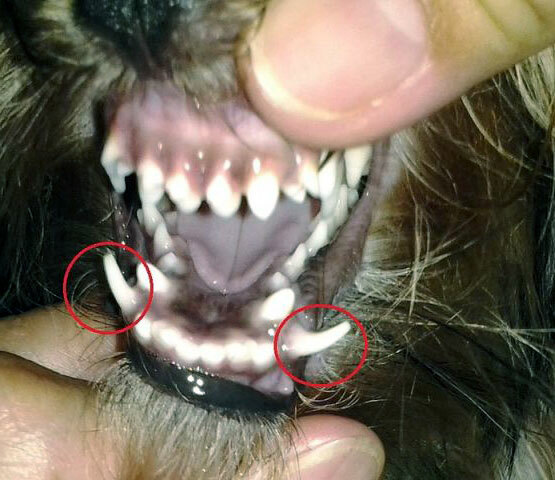 To make sure that you avoid these types of unwanted situations related to your Yorkshire terrier teeth, you need to pay attention towards little things during routine teeth care of your pet. It is always great to have a perfect teeth cleaning and brushing habit developed for your pet. It can add to the overall health of your dog and your peace of mind. This is because visiting the dental care expert vet to deal with your Yorkie’s teeth anxiety is always an unbearable experience. In addition to that, taking regular suggestions and recommendation from the veterinary expert is a bright idea. Using the right products always help you to offer more and dedicated care of your dog’s health. The marketplace is filled with reliable brands dedicated to dogs; you can choose the best ones out of them. It is suggested to pick up the best products for your dog amongst the huge collection of different products offered by different brands. Looking for products dedicated to Yorkie breed of dogs is always a right choice to make. 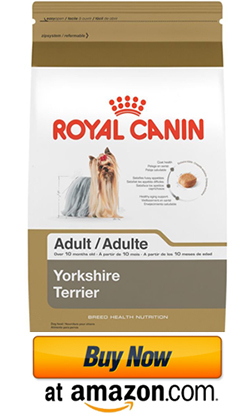 Other Yorkshire terrier teeth products than cosmetics and teeth care chemicals are also very important and supportive in putting up the strong coating on Yorkie’s teeth. Paying complete attention on the cleaning of teeth without any threat of their fall instead making them stronger can be possible with the help of chewing gums for teeth. 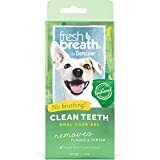 These types of teeth cleaning products are smart choice to get the teeth of your Yorkie clean and keep them free from any disease. These simple tips can help you to get smart ideas to protect your Yorkie from teeth diseases and protect its teeth from any unwanted elements. Thanks for the tips. I just bought my york and I’m trying to learn everything I can. Your site is helping me a lot. 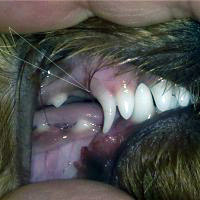 If you start to brush your Yorkies teeth from the day you get him or her they will be used to it. I brush my Yorkies teeth every day or two and they are beautiful and clean. I recently was given a Yorkshire Terrier. I had no idea of how to take care of an animal so tiny and with long hair. Your websit has been very helpful. He likes to do what he wants to do. When he plays he plays hard. When he’s stubborn, he does it while hardly. And when he loves… he presses against me so hard like he can’tt get close enough. We have been owned by our Mr. Russell since we rescued him in May 2014. His previous owner fed all her Yorkies cheese….just cheese. Consequently, his teeth were horrible. Had a dental done on him where he lost his bottom front teeth. Then, another dental this spring. Lost more teeth. He had a premolar that was abscessed! I brush his teeth every day, so hopefully this will be the end of his dental maladies! Love your post ! Great infor i. I am a proud momma. Of 2 little princess. An 1 little prince. Schedule. I have purchased products at pet smart that was supposed to help with the tarter. Any Advice on products that actually HELP. My little Joe has horrible breath. An tarter seems to build up fast on his teeth. They only eat royal canine. Nothing else. I do give them a drop of sugar paste occasionally b/c of their size. (2.5 lbs. ) Sophie is 7yrs. Joe is 3yrs. Grace is 8lbs. I found out that my Veterinarian only administers the Iv to put my Yorkie to sleep. Then a Vet Tech actual cleans the teeth. The Vet tech doesn’t need a license or any kind of special training? I don’t like this especially since I lost mine this way 1 year ago?